We picked everyone up at the Dublin airport and headed out across Ireland with our ultimate destination being Galway. Because of the fire in the O’Hare airport in Chicago several people got delayed but eventually we collected of our pilgrims. One will be showing up tomorrow morning and catching up with us. The highlight of today was stopping at Clonmacnoise on the Shannon River and seeing the monastery built by St. Kirian in the fifth century. I think you’ll be impressed with the magnificence and the grandeur of the ruins. St. John Paul II came here in 1979 to pray and we celebrated Mass on that spot. We are now in the Imperial Hotel in Galloway and all is well. We have another adventurous day tomorrow. 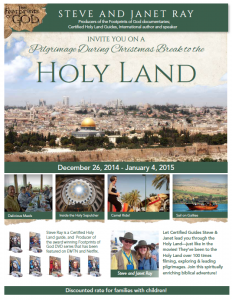 Safe, Quiet, Beautiful and Deeply Spiritual: Join us in the Holy Land over Christmas Break! Gaza is quiet and ISIS has nothing to do with Israel. Israel is quiet, safe and inviting. Even all the bishops of the Holy Land said last week, “that pilgrims return without fear to the Holy Land. In fact, the pilgrims’ itinerary was always and is still very secure. – See more here. We just returned with 55 excited pilgrims ten days ago and they all thanked us for not canceling the trip. We leave with another 45 in ten days. We hope you can join us over Christmas break or our upcoming February trip. We have a delightful one-bus group going over the Christmas break. We leave on December 26 (so you can enjoy Christmas day with your family) and return Sunday, January 4 in time for school or work on Monday. Enjoy the Christmas season where it all happened. 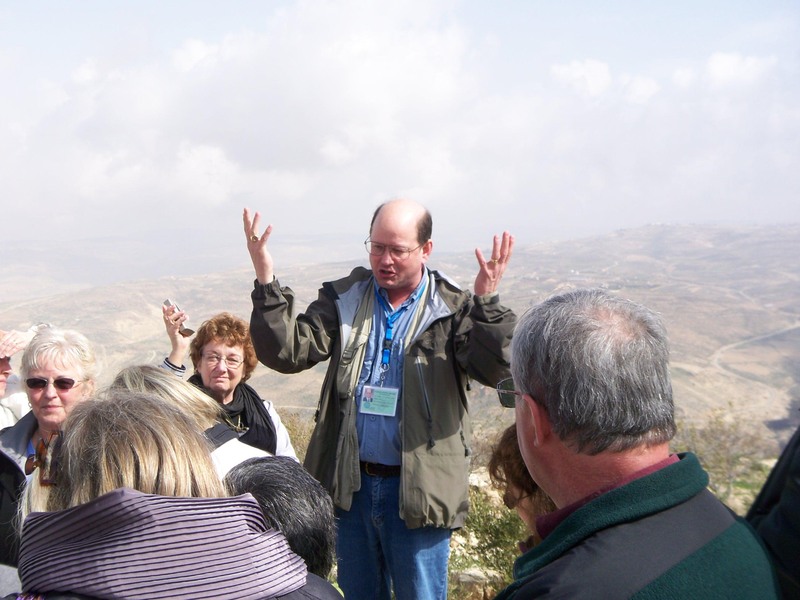 Mass at the Tomb of Christ, prayer at the Rock of Gethsemane, boat ride on Galilee, camel rides in the desert, meet the Bishop of Jerusalem and some of the best meals you’ve ever eaten. Let Janet and I guide you through the most holy places in the world! Call Suzanne at 800-727-1999, 121 or write her at sparran@ctscentral.net. 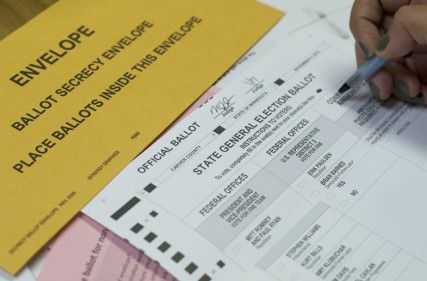 Since Janet and I will be out of the country leading groups through Ireland, Israel and the footprints of St. Paul until mid-November, we voted today by absentee ballot. Who did we vote for? Please dear God, inspire many other good folks to vote the right way. We have grandkids!! We care about the future of our country and our world. The only thing evil needs to prevail is for good men to do nothing. If There is No Infallible Teacher, What Good is an Infallible Bible? My Baby Girl Gets Married Today; Already have Tears Thinking of Walking her Down the Isle. We don’t know where he got this talent – a gift from God – because I don’t have any musical talent! But from a young age he fell in love with piano and now plays with amazing beauty and grace. I will not tell you it is safe to go to the Holy Land. I will let the pilgrims who just went with me tell you. 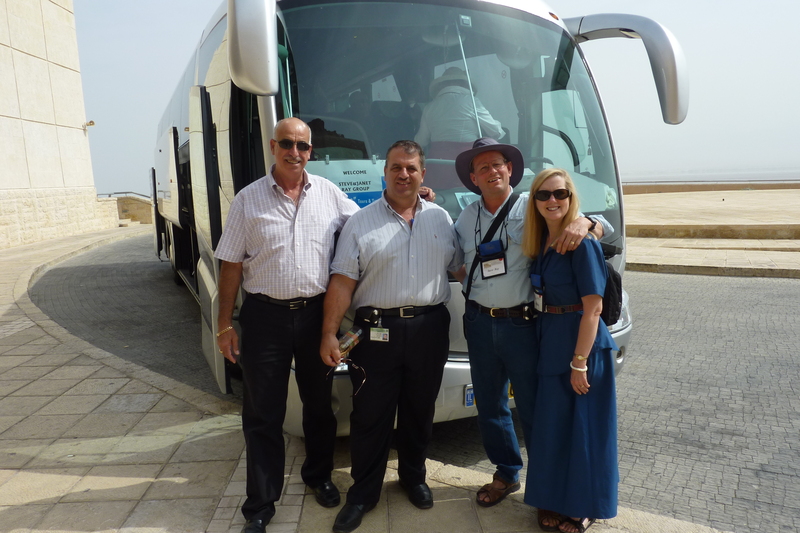 Also, find out how I found Amer our guide and why I know our groups are in the best hands possible in the Holy Land.